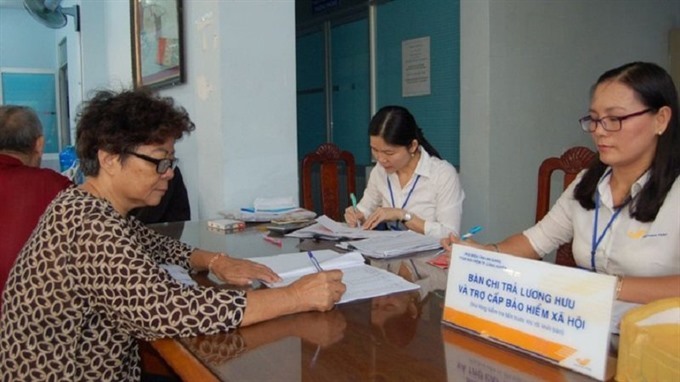 HÀ NỘI — The retirement age for male and female workers could increase from 60 and 55 at present to 62 and 60 respectively from 2021, according to the Ministry of Labour, Invalids and Social Affairs (MOLISA). At a meeting on Monday to discuss new-generation free trade agreements (FTAs) co-hosted by MOLISA and the International Labour Organisation, Nguyễn Văn Bình, deputy head of the ministry’s Department of Legislation, said some contents in Việt Nam’s Labour Code would be adjusted to fit the provisions of new generation FTAs. These regulations touch upon the difference between the retirement ages of men and women, disability employment and occupations in which female employment is prohibited. According to the current law, female workers can retire five years before their male peers. Bình said applying the new retirement ages immediately could cause problems for people who were preparing for retirement. Under one plan, the retirement age would add six months at a time until it reached the targets set by the Government. For instance, if a man retires in 2020, the retirement age would be 60. However, if he retires in 2021, the retirement age would be 60 years and six months. If he retires in 2022, the retirement age would be 61 and so on. The change is aimed at balancing the pension fund and the benefit fund for people with disabilities. These funds were forecast to run dry if the current retirement age was kept unchanged. “Regulations in the Labour Code draft revision also focus on protecting female workers during maternity leave,” Bình said. The draft revision is set to be presented to the National Assembly in May 2019 and be submitted for approval in October 2019. New generation FTAs include non-trade provisions related to labour, the environment, sustainable development commitment and good management. The FTAs include the Việt Nam-European Free Trade Agreement (Việt Nam-EU FTA) and the Comprehensive and Progressive Agreement for Trans-Pacific Partnership (CPTPP). Việt Nam officially became the seventh member of the CPTPP on November 12. Nguyễn Văn Giàu, the NA’s external relations committee chairman, said that by approving the agreement, Việt Nam had shown willing and ability to integrate with the international community, respond to the developments of the global economy, and progress with other free trade agreements. The CPTPP agreement was signed by Việt Nam and ten other economies in the Asia-Pacific region last March in Chile after the US withdrew from the Trans-Pacific Partnership in 2017.